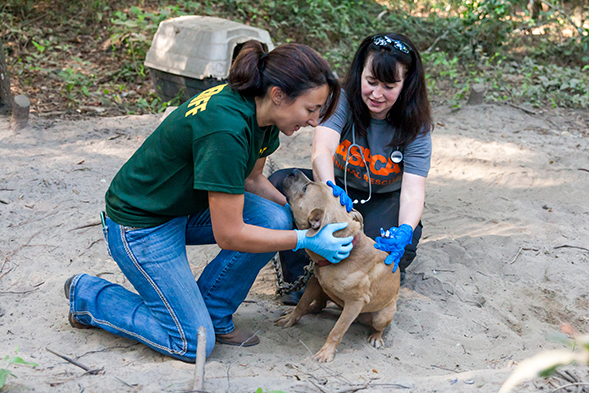 The ASPCA is on the ground in Freeport, Florida assisting authorities with evidence collection and the rescue of seven canine victims from a property where animals were allegedly housed and fought. 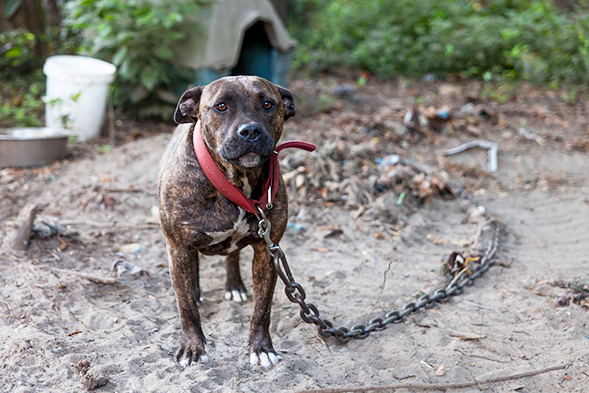 ASPCA responders discovered the dogs tethered to heavy chains at the scene, and many exhibited scars and wounds consistent with fighting. Drugs and dog fighting paraphernalia were also discovered on the property. We are providing the dogs with emergency medical treatment and behavioral enrichment, and they are being kept safe at an undisclosed location. This rescue was the result of a complaint from a concerned citizen who contacted local authorities. We’re so grateful that someone reported this dog fighting operation, and that these seven dogs will never have to fight again. But our assistance in this cruelty case, and in the many cases we’ll face in the future, depends on the support from people like you. Please consider making a donation to the ASPCA today so these dogs—and thousands of animals like them—will experience lives free from pain and suffering.